In this series we are going to be exploring the history of UNIT in Doctor Who. UNIT are one of the main staple’s of Doctor Who. UNIT stands for United Nations Intelligence Taskforce, though this is later changed to Unified Nations Intelligence Taskforce. They are an organisation devoted to tracking down alien threats and have been a huge presence in the show since well the late 1960’s. Though they have had long periods out of the series, they ultimately always return sooner or later and have over the years faced off against many of the Doctors most iconic enemies including the likes of the Daleks, The Cybermen, The Sontarans, Davros and The Master. In this article the first of the series we will be examining the early years of UNIT in the 1960’s. Though UNIT only really made one appearance in the 60s. It nevertheless laid the template that every single UNIT story for the next almost 50 years would follow, and the 60’s therefore represents a very important period in the shows history for the organisation. I wasn’t sure on whether or not to mention this story, The Web of Fear as it is not a UNIT story. Still this warrants a mention as it not only is really a prototype to the UNIT era stories, but it also marks the introduction of Alistair Gordon Lethbridge Stewart then Colonel Lethbridge Stewart. The Web of Fear marked the second appearance of the Great Intelligence. 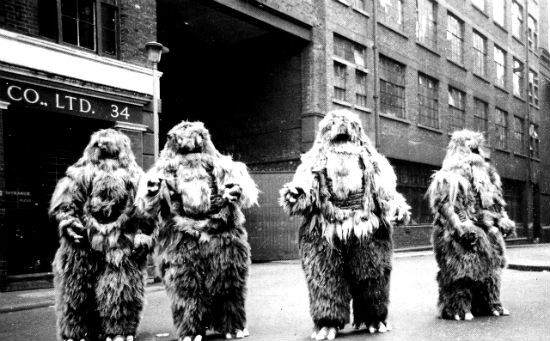 Previously the monster had fought the Doctor in the Himalya’s using its Yeti robots. The Doctor however managed to defeat it and shut down its robots. Unfortunately however Professor Quentin Travers who was searching for the real Yeti creatures takes a Yeti robot home as a trophy. After experimenting with it he inadvertantly brings the creature back to life and it soon creates a new and improved army of Yeti robots for the Great Intelligence to operate with which it overruns London. London is evacuated as the Yeti’s cover the city in a web which crushes its victims to death. The army are soon called in, but find themselves unable to deal with the rampaging Yeti’s. The Doctor’s Tardis meanwhile is soon brought to earth via a Web. Upon arriving in London he encounters his old friend Professor Travers and his daughter Anne Travers who have been called in due to their past experiences with the Intelligence. The Doctor soon realizes that someone there has been possessed by the Intelligence, as they are all picked off one by one. He is not sure who it is however, Travers, Anne or Colonel Lethbridge Stewart. The Doctor later discovers that the Intelligence does not want to take over the earth. It only staged this invasion to draw him in as it wants to drain the knowledge from his mind of time travel and all of the other things he has done. The traitor is later revealed to be one of Lethbridge Stewarts soldiers who was killed by the Yeti earlier and reanimated by the Intelligence. The Doctor seemingly agrees to the Intelligences terms. In exchange for draining his mind (which will effectively kill him) he will call off his invasion. The Doctors companions however and Colonel Lethbridge Stewart are able to stop the intelligence from doing this and though it is defeated, ultimately it manages to escape back into space. The Doctor who is furious reveals that he had set things up so that when the intelligence tried to drain his mind the machine would have instead drained its mind and defeated it once and for all. The Web of Fear is by far and away one of the greatest Doctor Who stories ever made. Its top 10 easy for me. Everything about it works. The sets are fantastic and among the most convincing there has ever been in doctor who. The setting of the story in the dank tunnels of the London underground is just perfect and really helps to build up an atmosphere. The direction is superb, but then again it is Douglas Camfield need I say more? This story is also one of Troughton’s best as it shows how manipulative his Doctor is to the point where everyone falls for his helpless act at the end though sadly its this that ironically prevents him from finally stopping the Intelligence once and for all. However what about Colonel Lethbridge Stewart? Isn’t that the reason we are here? Well The Brig (who isn’t the Brig at this point but Alistair Gordon Lethbridge Stewart is just too long to write) isn’t as you’d expect that fleshed out in this story. He isn’t an unsympathetic character at all, he is still very much the dashing, man’s man hero we would all come to love in later years. However he’s still not quite the character he is later. Definitely his most memorable scene in the entire story is when the Yeti’s attack Covent Garden and the Brig and his men have to fight them off. This is just a spectacular sequence, again a large part of it is thanks to the direction. The Yeti absolutely decimate the Brigs men. Even when they are armed with rocket launchers the Yeti’s slaughter their way through them killing them with their bare claws and crushing them under their webs. This scene is not only thrilling but I think really helps to define the Brig as a character as it shows how he never gives up. Even when it is completely hopeless he still does all he can against the enemy and he never, ever abandons his men. Though he does lose all of them in this fight he is not portrayed as incompetent, its just that the Yeti are utterly unstoppable. However other than this moment for the most part the Brig is just kind of a generic soldier. In fact throughout most of the story we are led to believe that he is possibly the host for the Intelligence. Of course this whodunnit aspect of the story will be lost on modern viewers as we all know that the Brig couldn’t be the host of the Intelligence. At one point the Brig is even happy for the Doctor to hand himself over to the Intelligence which is something you couldn’t really imagine in any subsequent stories. In Battlefield he memorably clobbers the Doctor to prevent him from sacrificing himself stating “sorry Doctor I’m far more expendable than you”. Still Nicholas Courtney does a good job in making him dashing and likable enough, and its not hard to see why they brought him back. Nicholas Courtney was originally supposed to play another role in the story, the part of another soldier who would have been killed by the Yeti’s. However the actor playing Colonel Lethbridge Stewart dropped out and so Courtney got his role instead. Courtney later remarked that if the original actor had played Colonel Stewart then his life would have been very different for the next 40 years. Courtney was cast by Douglas Camfield who many years earlier had cast him as Bret Vyon in The Daleks Masterplan. The Web of Fear is a truly fascinating story to watch. It lays the foundations for every UNIT story that comes after. Even today UNIT stories are still being made in its image. Its the first Doctor Who story to feature a widescale invasion of modern earth. The Dalek Invasion of Earth and The Tenth Planet had been set in the future whilst other stories such as The War Machines and The Faceless Ones had featured aliens invading modern day earth, but they were on a smaller scale. The Web of Fear however features all of London being overwhelmed. Big massive invasions which could never realistically be covered up, but which most of the time would somehow be anyway would become a staple of UNIT stories with examples including Autons bursting out of shop windows and killing people en mass, the Skarasan rampaging its way through London, Cybermen marching down St Paul’s Cathedral and Daleks stealing the earth itself! The Web of Fear is thus a highly influential and important story not just simply for introducing the character of Lethbridge Stewart. UNIT would be introduced properly the following year in the season 6 story The Invasion. This story was once again directed by Douglas Camfield and served as a sequel of sorts to The Web of Fear. It was set four years later and revealed that after the situation with the Yeti in the underground the government who managed to cover it up later created an organisation to track down extra terrestrial threats to mankind. UNIT which stands for United Nations Intelligence Taskforce. After his experiences with the Yeti in the underground Colonel Alistair Gordon Lethbridge Stewart is made The Brigadier of the British branch of UNIT. UNIT are soon called into action when Tobais Vaughn allies himself with the Cybermen to launch a full scale invasion of earth. Working with the Second Doctor, Jamie and Zoe the Doctor is able to thwart their evil scheme and save mankind once again. Finally the Cybermen marching in huge numbers in front of St Paul’s Cathedral could perhaps be seen as an attempt to replicate the Yeti’s attacking Covent Garden. Not that it matters of course as the Cybermen in front of St Paul’s is a truly iconic moment, though I actually prefer the Yeti attack to be honest. The Web of Fear is a prototype, whilst The Invasion really kind of smooths the UNIT formula out brilliantly. UNIT in this story are very different to the Military we saw in The Web of Fear. They are prepared and are able to hold their own against the monsters. You only have to look at the battle with the Cybermen and compare it to the battle with the Yeti. 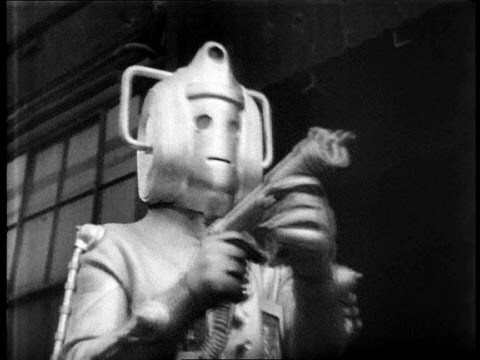 Not only does UNIT suffer minimal casualties but they are able to slaughter the alien invaders, the Cybermen this time. This story really shows us how UNIT are a force to be reckoned with by having them take on one of the major villains of the series and wiping the floor with them. The Brig is back of course, but he is not alone. Benton is introduced, though I don’t think it would really be until the 70’s when they managed to make the character more than just a grunt. Still its good to see him get a chance to appear with the second Doctor, though again he and the Second Doctor would actually get a much better chance to interact with one another in the 70’s too in The Three Doctors. The Brig’s character has moved on from when we last saw him. He is obviously much more experienced and he and the Doctor have a very friendly rapport with one another. Due to the circumstances of their last adventure both were distrustful of one another, but here they are shown to greatly respect and rely on each other many times throughout their battle with the Cybermen. The 2nd Doctor and the Brig have a much friendlier and easier relationship than the Third Doctor and The Brig later would. Originally the characters of Quentin and Anne Travers were to have returned in the Invasion. In the finished story the Doctor initially goes to visit his old friend Travers. Sadly the actor who played Travers was not available and so the character was written out and replaced with Professor Watkins and Isobel, with Travers said to be out of the country in the finished story. I think its a shame that they didn’t bring Travers back. I don’t think he could have worked during the Pertwee UNIT stories as there isn’t really a need for him when you have the Doctor. Still it would have been nice to see him back again for this story and see him go up against the Cybermen. I am really annoyed that we never got to see Anne Travers again however. Anne was brilliant. She was kind of like an early Liz, intelligent, strong and brave. I think she could have actually been a full time companion of the Doctor. The actress who played her Tina Packer and Patrick Troughton had brilliant chemistry with one another too. Its a shame that we never got to see more of her. I’d imagine that Jack Watling (father of Deborah Watling) who played Travers regretted not appearing in The Invasion as had he done then that would probably have given Travers a better chance of appearing in later UNIT stories as it would have linked him with UNIT more closely. Indeed if Anne had appeared in The Invasion then she may very well have been the Third Doctors brainy companion instead of Liz in series 7. However ultimately their departure from this story really meant that the two characters would be largely forgotten about, though Watling did get a chance to reprise his role in Downtime a spin off video made in the 90’s which featured the Brigadier, Sarah Jane and Victoria and actually introduced the character of Kate Lethbridge Stewart who would later go on to appear in the revived series. The Invasion was actually made as a trial run to see if the UNIT formula could work. Even before Patrick Troughton had decided to leave the producers of the series had decided to set the series largely on earth to save money. With The Invasion they simply wanted to see if it would work and the success of The Invasion would subsequently lead to the next series being set entirely on earth with UNIT as the Doctor’s main allies. I often wonder what it would have been like had Troughton not left at the end of series 6. The producers of the series at that time have said that it was not due to Troughton leaving that they decided to set it on earth. Thus had Troughton stayed the Doctor would still have been confined to earth. The subsequent UNIT era stories would have had to have been drastically different with Troughton’s Doctor in them. I wonder how stories like Inferno for instance which requires a much more physical Doctor would have had to have been rewritten. I also don’t think there would have been as much conflict between The Doctor and The Brig as again Troughton’s Doctor and the Brig had a more friendly, amicable relationship. It also would have been weird seeing Troughton’s Doctor confined to one time and one planet too. To be honest I am not sure that the UNIT era would have worked with Troughton. I think it needed a big, aggressive Doctor who would clash with the Brigadier and could also do more physical scenes. UNIT stories by their very nature tend to be more action packed so they really need a Doctor who can do all of those things like get into car chases, beat up like five guys at once, even pick up a gun if need be. Also I think that Troughton’s Doctor works best as a wanderer in space and time. Pertwee’s Doctor suits being the more rebellious Doctor confined to earth against his will more. Whilst the decision to strand the Doctor on earth may not have been motivated by Troughton’s departure I think they kind of lucked out with Troughton leaving at that point. As much as I adore Troughton I think his era really had come to an end in 1969 and Pertwee was really the right Doctor for the oncoming UNIT era. Still its worth noting that the Doctor Who comic strips from round about that time that featured the Second Doctor had him exiled to earth. In the strips whilst the Time Lords had stranded him on earth they had not been able to complete his regeneration. Thus he was in his second form for months on earth before his regeneration into his third incarnation. Curiously enough these strips did not feature UNIT, but one of them served as a sequel to The Invasion as it had someone actually try and make a movie based on its events. The strips ended with the Time Lords animating Scarecrows who eventually dragged the Doctor back into his TARDIS where the Time Lords whisked him away back to Gallifrey to complete his regeneration before sending him back to Earth again, tying it in nicely with Spearhead From Space. These strips can perhaps give you an idea of where they would have gone had Troughton remained on the series even if they sadly do not feature the UNIT family. Incidently these strips proved very influential on the work of Paul Cornell. Paul would later come up with a different but similar idea of the Second Doctor escaping his trial at the end of The War Games. Also the idea of Scarecrows coming alive and chasing the Doctor would pop up in his most famous Doctor Who work Human Nature/ Family of Blood. As you can see The Invasion in some ways marks the beginning of the Pertwee era. Its a sign of things to come and template for virtually every story for the next 5 years. The only major UNIT character from the 60’s. Lethbridge Stewart only appeared in two stories. He debuted before UNIT itself. In both of his 60’s appearances he was more of a straight forward action hero. It wouldn’t really be until the 70’s that I felt they began to flesh him out showing us both a darker and a more comical side to the character at the same time. Still he and Troughton have an excellent chemistry with one another. The Second Doctor and the Brigadiers relationship is probably the easiest the Brig has with the initial three Doctors the Brig works with. Of course there are many reasons for this. At this point in his life the Doctor is able to come and go as he pleases unlike when he is in his third incarnation and he is forced to remain there against his will. Similarly during Tom Bakers time The Doctor having finally gained his freedom is desperate to get back out into the stars rather than being called back to earth all the time by the Brigadier. Also the villains that 2 and the Brig face are more straight forward villains The Yeti and The Cybermen, where as 3 and the Brig would face more morally grey foes like the Silurians. Thus the two of them would clash more over their different methods in how to deal with them. However whilst 2 and The Brig may have had the easiest relationship, theirs was ultimately the most shallow as the two don’t really know each other yet. I like that though that 2 and The Brig have a more easy relationship as I think it allowed them to flesh it out more as time went on. It was quite interesting seeing 3 and The Brig get to know each other more closely than 2 and The Brig ever did and subsequently clash over their differing methods more, but ultimately in the end come to respect each other more and develop a deeper understanding of each other more. Courtney said that he adored working with Troughton and indeed he was later delighted when he found out The Brig would be paired with the Second Doctor in the 20th Anniversary story The Five Doctors. I think the potential for comedy was always greater with Troughton. It could be fun watching Troughton’s Doctor drive the more serious, stiff upper lip Brig up the wall, though I think we tended to see this more in their interactions in the two anniversary stories more than in the two stories he appeared in the 2nd Doctors actual era. The First Doctors Unseen Adventure with The Brig? The Brig and UNIT never appeared in the first Doctors era obviously as they were not introduced until after William Hartnell left. The Brig would go on to meet the First Doctor in the two anniversary stories The Three and The Five Doctors. However it appears that the First Doctor had another unseen adventure with him according to the 50th anniversary story The Day of the Doctor. 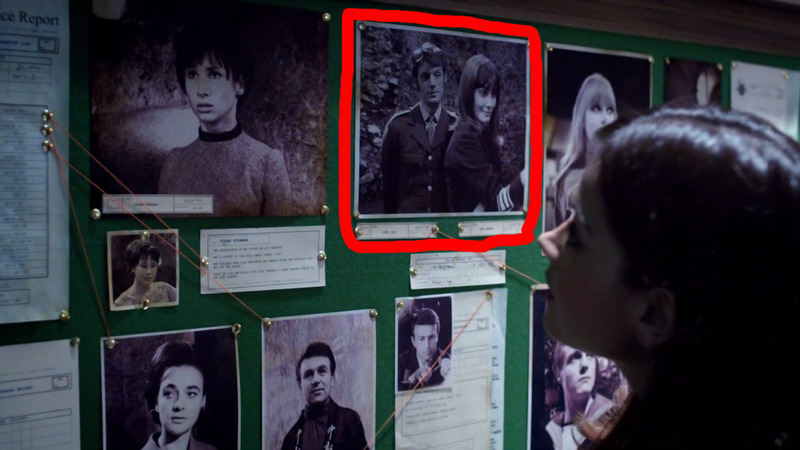 In UNIT’s vault if you look closely you can see a picture of the first Doctor companion Sara Kingdom with Captain Mike Yates. Now this proves a number of things. First of all that in between episode 7 and episode 8 of The Daleks Masterplan the Doctor, Steven and Sara had more adventures than what we saw on screen as many had speculated. Second that the First Doctors adventure with UNIT took place between seasons 8 and 11 as Mike Yates is only a member of UNIT in that time. So therefore its highly likely that this adventure was another unseen multi Doctor story as the third Doctor is exiled to earth during most of that time. It is possible that it took place in between The Three Doctors and The Green Death when the Doctor is free to explore the universe. Still I’d like to think there was an adventure with 1 and 3 and the Brig. That would explain why the Doctor doesn’t know the Brig in The Web of Fear as if the first Doctor did meet the Third he wouldn’t be able to retain the memory of that meeting as explained in the 50th. Only the current Doctor remembers the multi Doctor meetings as its out of sync for the older Doctors timeline so to prevent a paradox they forget it. I wonder what Sara who killed Bret Vyon would have thought when she saw the Brig however? This wouldn’t be the first time Steven Moffat has teased us with the idea of an unseen multi Doctor story. In The Name of The Doctor we see 2 and 8 briefly run past Clara one after another showing us that they too had an unseen adventure together. I wonder if the First/Third Doctor adventure involved the Ice Warriors? When the Fifth Doctor was reliving past memories he mentioned fighting the Ice Warriors alongside the Brigadier proving that he and the Brig fought the Ice Warriors off screen. This is further backed up by UNIT knowing what Martians look like in The Christmas Invasion. Personally I’d like to think that it was on this adventure that they fought the Ice Warriors as that would allow the 1st Doctor to fight the Ice Warriors too! There is some debate among Who fans as to when The Web of Fear and The Invasion take place. A specific year is never given in either stories but you can trace it this way. The Abominable Snowman the first Great Intelligence story takes place in 1935. In The Web of Fear, Professor Travers states that his first meeting with the Doctor took place 40 years ago meaning that The Web of Fear takes place in 1975. In The Invasion, the Brigadier states that the incident involving the Yeti took place 4 years earlier. This means that The Invasion takes place in 1979. Only problem with this is that Mawdryn Undead later states that the Brig retired from the army in 1976 one year after the Yeti invasion. Thus depending on what date you follow either these stories most likely took place the year they were broadcast or the mid to late 70’s.